Flandre and her sister ship Antilles were built for the French Line to be operated in the Caribbean as cruise ships. The French Line had three liners operating on the Atlantic run at that time, Liberte, Ile de France and De Grasse. As Flandre was nearing completion, they took the decision to retire De Grasse and operate Flandre on the Atlantic run in her place. Flandre set out on her maiden voyage from Le Havre - New York July 23rd 1952. With that crossing being plagued by electrical problems, she had to undergo an extensive overhaul at New York to repair the design faults. Flandre’s return to service 9 months later saw her operated between the Atlantic run and cruising until the early 1960s. The French Lines 66,348 ton France entered service in 1962 as a replacement for the Ile de France and Liberte. 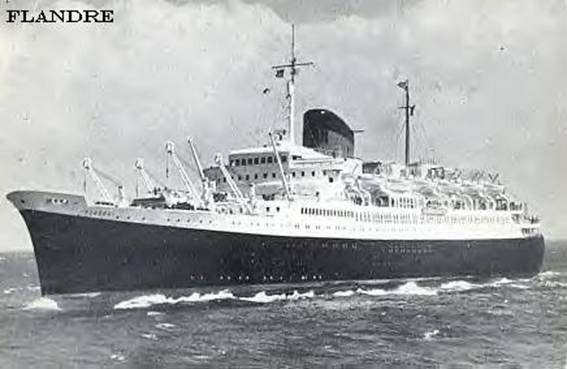 Flandre was taken off the Atlantic run soon after the France entered service to be operated as a full time cruise ship alongside her sister ship Antilles. 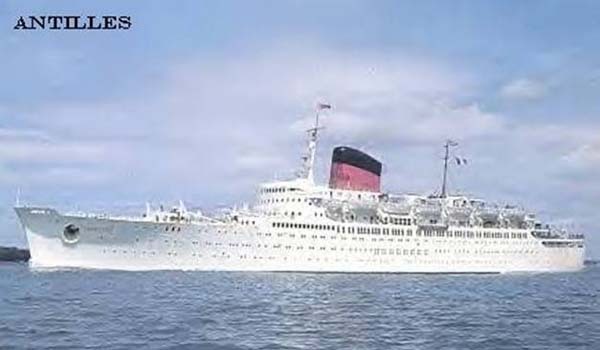 With the French Line having encountered financial difficulties by that time, they sold Flandre to the Costa Line in 1968. Costa had bought this ship to be operated on cruises throughout the Mediterranean under the name Carla C. To help keep Carla C operating beyond the 30 years liners were expected to stay in service, her turbines were replaced by diesel engines in 1974. She was operated under the name Carla Costa from 1986 until the Greek ‘Epirotiki’ line acquired her in 1992. 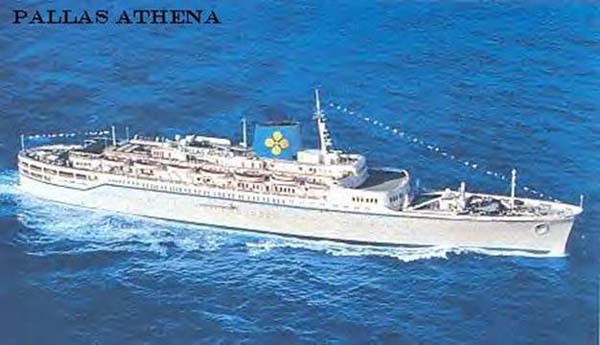 After being renamed Pallas Athena, Epirotiki operated her on cruises out of Athens - Aegean Islands and Turkey. Passengers from Pallas Athena were disembarking at Athens March 23rd 1994 when a fire broke out in an empty stateroom. The fire soon spread throughout the ship causing enough damage for her to be declared a total loss. The wreck of Pallas Athena was towed to Turkey’s Aliaga ship breakers in December 1994. Antilles was lost during a Caribbean cruise after running aground near Mustique 8th January 1971.